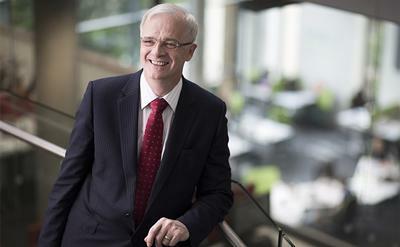 Sir Christopher Snowden is a distinguished engineer, academic and businessman. Sir Christopher has wide experience in the microwave and semiconductor industry and was knighted in 2012 for services to Engineering and Higher Education. He was formerly President and Vice-Chancellor of the University of Surrey and before that Chief Executive Officer of Filtronic ICS. He was appointed as President and Vice-Chancellor of the University of Southampton in 2015. Former member of the Prime Minister's advisory Council for Science and Technology. Sir Christopher Snowden announced in December 2018 that he would be stepping down from his post. He retired on 8 March 2019. Professor Mark Spearing has been appointed as the new, interim President and Vice-Chancellor until a permanent successor is appointed. Details on the Vice-Chancellor's remuneration are available online.